With a number of emerging successful examples, Shanghai is demonstrating its potential to take the lead in the construction and development of the industrial internet. Industrial internet has been revolutionary in recent years in linking people, data and machines together to restructure global industries and stimulate productivity. According to a research report by MarketsandMarkets, a professional market consultancy company, the global market scale of industrial internet will reach $91.4 billion in 2023, with the highest compound annual growth rate in the Asia-Pacific region. "The development of the industrial internet can accelerate the transition toward advanced manufacturing, and promote the deep integration of the internet, big data, artificial intelligence and the real economy, which lays a solid foundation for Shanghai to build itself into a world-leading manufacturing base," said Zhang Ying, chief engineer of the Shanghai Municipal Commission of Economy and Information. Shanghai possesses unique advantages in its pursuit of industrial internet development. The city has a large number of high-quality enterprises in key industries such as electronic information, equipment manufacturing, automobile, biomedicine and aerospace, which, once integrated with the internet, will accelerate industrial transformation and upgrading. 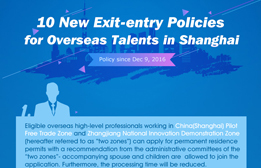 At the same time, a series of successful cases of employing the industrial internet by enterprises and industries in their respective fields also proves Shanghai's ability to be the national leader in this field. In auto sector, SAIC Maxus Automotive Co, a leading car maker launched a personalized program for consumers to choose and design their unique cars on mobile phones. D90, one type of its models, has received 70 percent of its orders online. Through the deployment of the industrial internet, the large-scale project of the large aircraft C919 has been simplified, with a reduction of 20 percent in operating costs and an increase of 20 percent in production efficiency, with over 2 million parts being connected. Thanks to the industrial internet, Shanghai Mitsubishi Elevator has been able to transform its service capabilities. It established a large-scale national users service center with a real-time remote monitoring system to operate about 60,000 elevators. The advanced development of the industrial internet draws strength from the government's full support. Shanghai has made comprehensive plans for a favorable policy environment and ecological cooperation based on the city's industrial foundation and characteristics. In addition, the city also set up special funds for the construction of the industrial internet and has invested in nearly 150 demonstration projects. 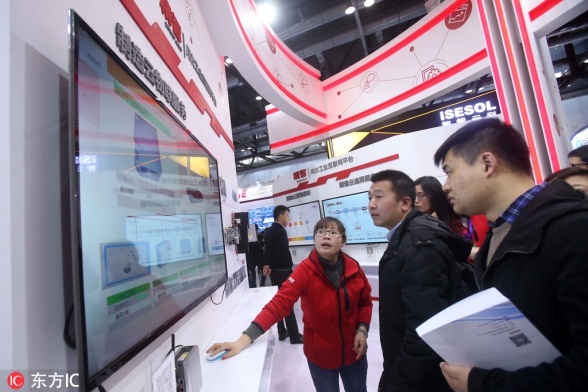 As a pioneer in the innovative development of the industrial internet, Shanghai has implemented leading measures on the network, platforms and safety, which are the key factors in promoting the industrial internet. The city possesses the core resources and a suitable infrastructure for the construction of an industrial internet network and has seen emerging research platforms to tackle key technologies. It has also issued a three-year plan for industrial information protection. To facilitate the future development of the industrial internet, Shanghai will cooperate with other areas and departments to earn the city more opportunities and put emphasis on the commercial use of 5G technology, a crucial factor for the development of industrial internet businesses.